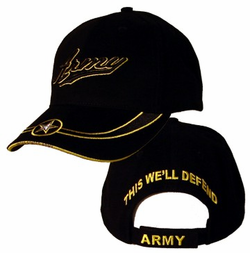 This Army 3D Script Adjustable Ball Cap is fully guaranteed. This low-profile cap has the design embroidered directly onto the cotton twill surface. This hat is fully adjustable. This Army Decals ballcap will make a wonderful gift or a nice addition to your own collection.